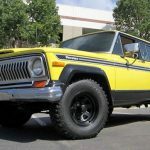 For the 1974 model year, Jeep launched a second version of what we now recognize as a full-size sport utility vehicle, the new Cherokee joining the Wagoneer. 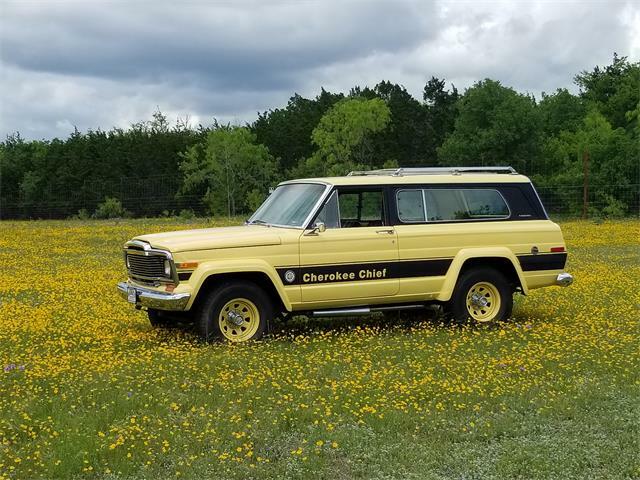 For the 1974 model year, Jeep launched a second version of what we now recognize as a full-size sport utility vehicle, the new Cherokee joining the Wagoneer. 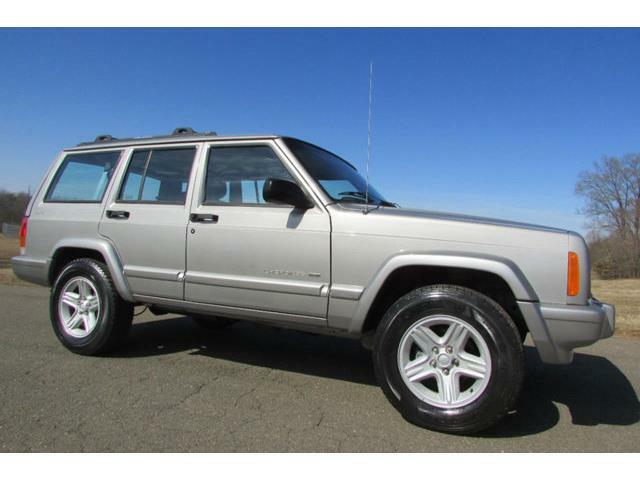 With the introduction of the two-door Cherokee, Jeep was able to move the four-door Wagoneer upmarket. 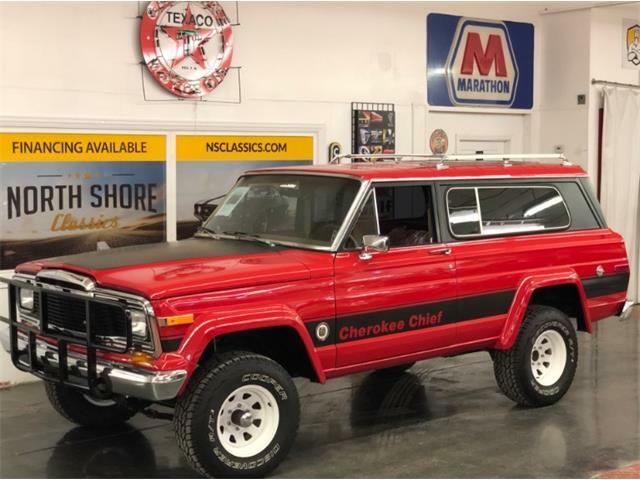 Our Pick of the Day is a 1977 Cherokee Chief. 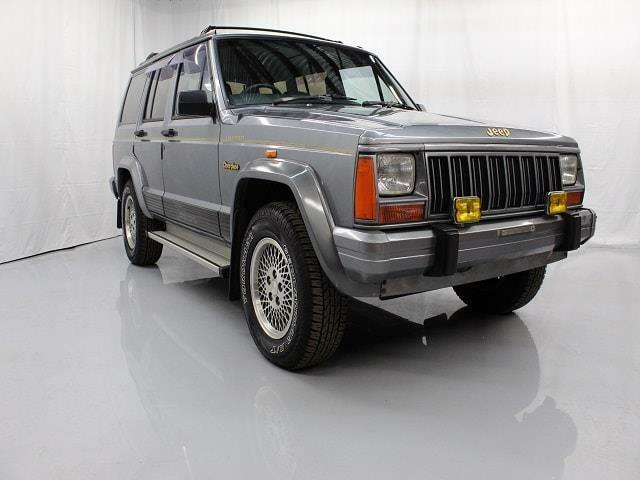 The Chief featured an appearance package that included wider wheels and tires, and special trim. 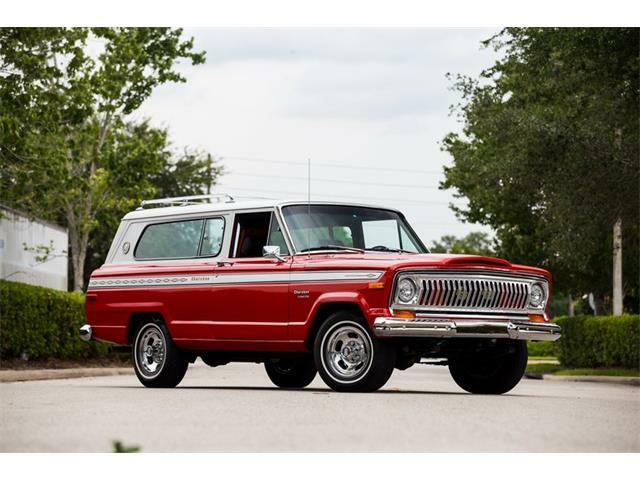 The advertisement for this car on ClassicCars.com notes that the Wagoneer and Cherokee were designed originally by Brooks Stevens. 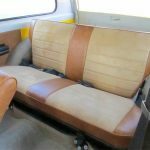 The Cherokee had a fixed rear side window with an optional flip-out section for ventilation. 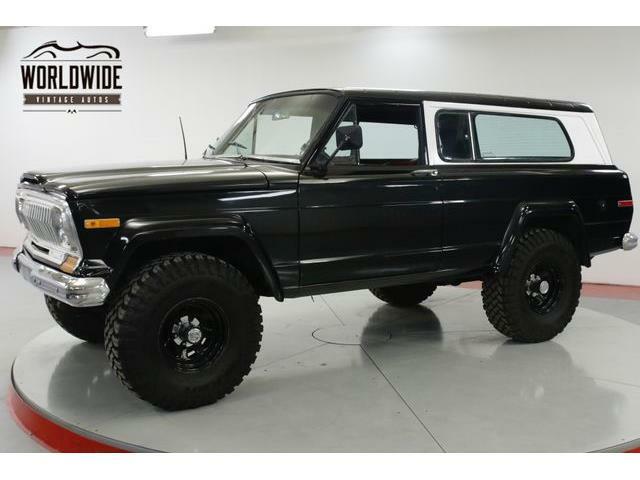 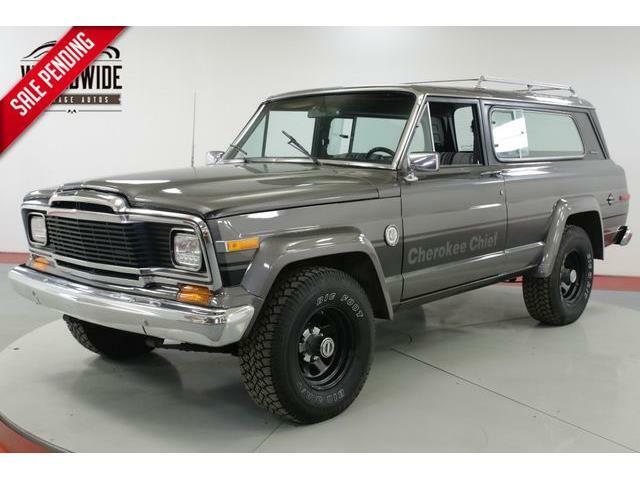 “Based on the Wagoneer, the Cherokee was marketed as the “sporty” two-door variant of Jeep’s station wagon,” the seller notes in the ad. 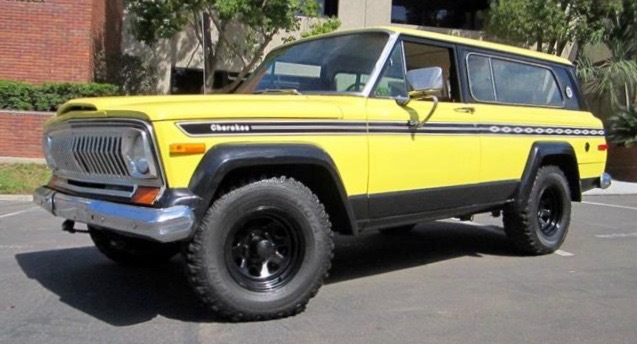 “The term ‘Sport Utility’ appears for the first time in the 1974 Cherokee sales brochure,” the ad continues. 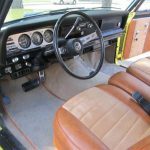 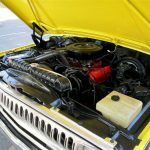 That upkeep has gone well beyond typical maintenance to include a partial restoration with a rebuild of its 360-cid V8 engine including a new carburetor, rebuilt steering box, new hoses, new tires, a full new interior and new vinyl Cherokee stickers. 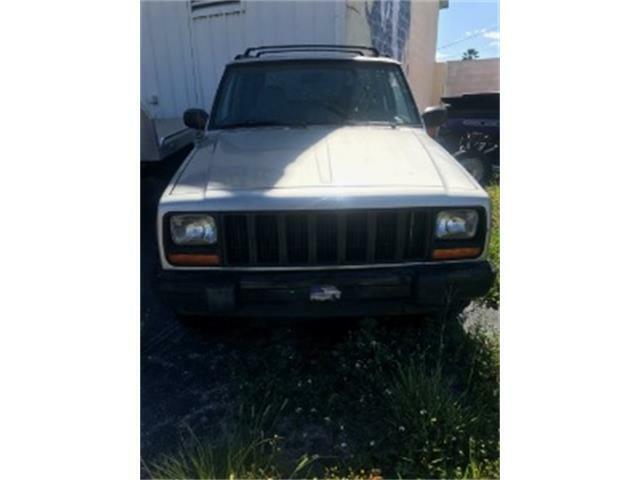 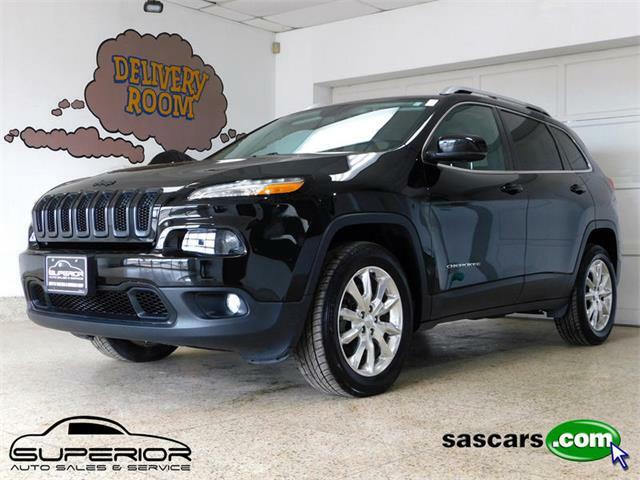 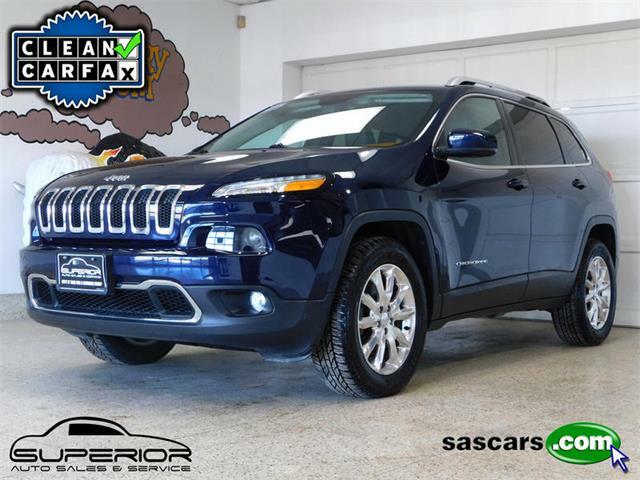 The ad points out that the Cherokee has tan leather seating, air conditioning, AM/FM radio, cruise control, power brakes and power steering, and an automatic transmission. 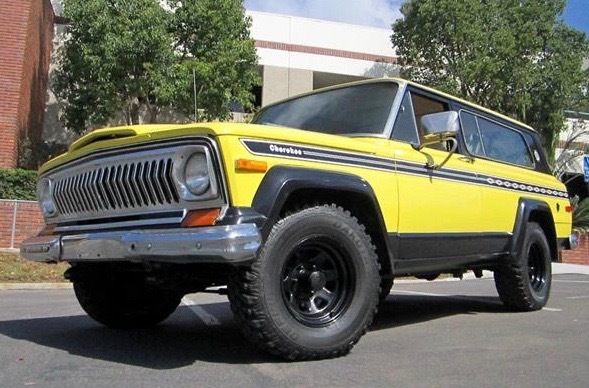 This stunning yellow and black beauty is in San Diego, priced at $29,995 or best offer.